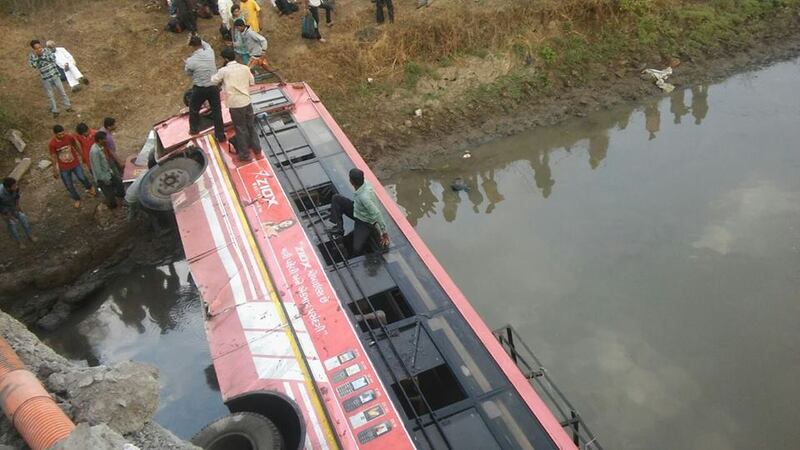 Today in Gujarat, one ST state transport bus fell into Tapi river by breaking ralling of the bridge at Katgal village in Vyara. There were 45 passengers onboard. Some passengers received minor injuries in ST bus accident.